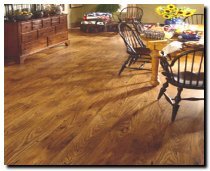 Whether you're looking for the longevity and beauty found in Columbia's Solid Oak flooring... or the rich textures and hassle-free maintenance of Columbia's Engineered Hardwood... or the easy, glueless installation of Columbia Clic, you'll love what Columbia Flooring can do for your home. Choose your style from the eye-catching array of wood, finishes and features. No matter what type or style of Columbia Flooring you choose, you'll be selecting a floor with easy installation, hassle-free maintenance and the industry's most durable finish. See how a Columbia floor can add style and value to one of America's finest homes -- yours! Don't see the Columbia product your looking for? Call 407-925-0917 for DIRECT PRICING!! !